JCUA is pleased to announce its new Community Ventures Program (CVP) loan to Latin United Community Housing Association (LUCHA). 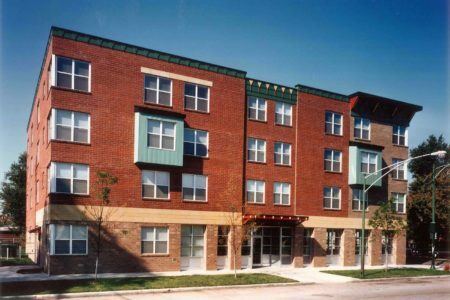 LUCHA received a $100,000 loan to cover a portion of the predevelopment costs for the rehabilitation of Humboldt Park Residence (HPR), an existing 68-unit single-room occupancy (SRO) development on Chicago’s West Side. JCUA has a longstanding relationship with HPR – CVP provided a $250,000 predevelopment loan to LUCHA for the construction of the building in 1995. As the City of Chicago is experiencing the loss of many SRO buildings, HPR helps fill a critical need for affordable housing in the neighborhood. Humboldt Park in particular is experiencing significant gentrification pressure making the preservation of these units all the more important. 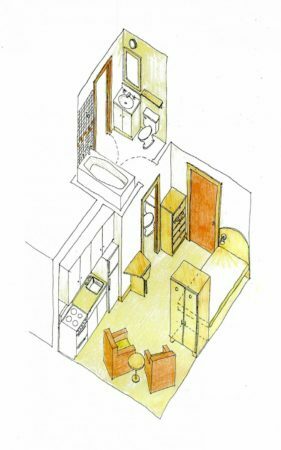 LUCHA designs, builds, rehabs, and manages affordable rental housing property developments for very low income residents within Chicago’s Humboldt Park, Logan Square and West Town communities. They have met with HPR residents on a regular basis to obtain their input regarding the rehabilitation and reconfiguration of the building. The rehab will result in 65 studio units with private baths (currently bathrooms are shared in all but 6 units), a new roof, energy efficient windows, brick repairs, masonry window sills, kitchen cabinets, appliances, bathrooms, lighting, boilers, sprinkler system, air conditioning, and updates to the elevator, security, and fire alarm systems. The ground floor community space and commercial space will be reconfigured to provide upgraded and expanded common resident space. Uses chosen by residents include a computer lab and exercise room in addition to the resident community room. The building is located near many amenities and services, including Humboldt Park and access to several public transit routes.